Quack. Duck Poker is a small online poker room with some traffic issues (more on that later.) They offer players a $5 no deposit bonus, along with a 100% up to $600 deposit bonus. They do not accept US players. Let’s dive in. Duck Poker offers a 100% up to $600 poker bonus and is currently ranked #10 out of 28 reviewed poker rooms with an overall score of 80.57. Visit DuckPoker.com for more details and to download the official Duck Poker software. The best offer at Duck Poker is their $5 free offer. No deposit or credit card is required. It is valid for new accounts only. Simply sign up and shoot them an e-mail, and $5 will be given to you. The $5 is given in Tournament Bucks, which is the same as any kind of tournament ticket, and can be used to play any tournament. They promote the offer as $25 free without a deposit, but only the first $5 is truly given for free. The remaining $20 requires a deposit. State you want to use the bonus code NDB25 for the $5 no deposit bonus. A scan or take a clear picture of a photo ID. The ID must match the details of your account. A scan or take a clear picture of your proof of address. This can be any utility bill with your address on it that is 3 months old or newer. Obviously, it must also match your account details. 3) The $5 in tournament bucks will be deposited into your account after the request is processed. Usually within 24 hours. The ID verification and proof of address is an extra step, but not that far out of a request. Almost all online poker rooms will request these documents before processing any kind of cashout. So by providing them now, you will avoid having to do this later on. This extra step is done to verify your identity and so the offer is only claimed once per person. Once you have your cash, you must also earn 100 player points before you can cash out. We go into more details on player points below, but this works out to $16.67 in rake. There is no expiration for the no deposit bonus, take as long as you need to clear it. 1) Make a deposit and an extra $5 in tournament bucks will be credited to your account. 2) Each time you earn 30 player points, $5 more in tournament bucks will be given to you, up to $15. However, this is not automatic. You’ll need to email support every time you earn 30 points to receive the ticket. The following countries cannot claim this offer: USA, Belgium, Israel, Italy, Spain, Denmark, France, Cyprus, Latvia and Estonia. After you’ve claimed your free $5 offer, you can claim even more when you make a deposit. Your first deposit will be matched up to $600. There is no bonus code required, it’s automatic on your first deposit. Just choose which deposit option you want to go with, make a deposit of $600 or larger, and your bonus will be instantly activated. It needs to be noted that Duck Poker is on their own independent network which is severely lacking in traffic. They’re a newer site trying to attract players, but don’t be shocked if you login and there are only a few tables running. This adds a huge issue for clearing the bonus, so if after claiming the $5 free you don’t want to stick around you can bounce before making a deposit. To clear the bonus, you must earn Player Points (PPs). These are earned by paying rake or tournament fees at the rate of 6 PPs per $1 rake. Each time you collect 100 PPs, $5 of the bonus will be released. A total of 12,000 points are required to clear the full $600 bonus. It takes 20 PPs to earn $1 of the bonus, which costs $3.33, giving the bonus a value of 30% rakeback. You will pay a total of $2,000 in rake for the $600 bonus. The bonus must be earned within 120 days. This sets the rake per day pace at $16.67, or 100 points per day. Keep in mind that as I mentioned earlier, traffic is a serious issue so it’s like it may be impossible to clear the full bonus. But since it’s released incrementally, you should be able to earn some of it. For example, looking at level 4, you reach this level when you earn between 4,000 and 6,999 club points. You would earn 1.75 more player points at this level, meaning every $1 paid in rake would award 10.5 PPs rather than the standard 6. And you can convert PPs for cash at the rate of 250 PPs for $5. However, VIP levels reset on the 1st of each month. This means if you hit level 4 your first month, you’re back to level 1 and have to start all over again the following month, and every month thereafter. This puts a hit on the value of the VIP program as most other sites allow you to maintain your level from month to month. The 12,000 points you earn clearing the bonus comes out to 3,000 per month for pace. This means you would be a level 3 VIP and could convert points at the rate of 350 PPs / $5. This means 12,000 points would be worth $171.43 setting the VIP value at 8.57%. Adding the bonus value of 30% brings the overall value to 38.57%. But remember – traffic is low, low, low! Making pace will be hard which means the VIP value may end up being lower. 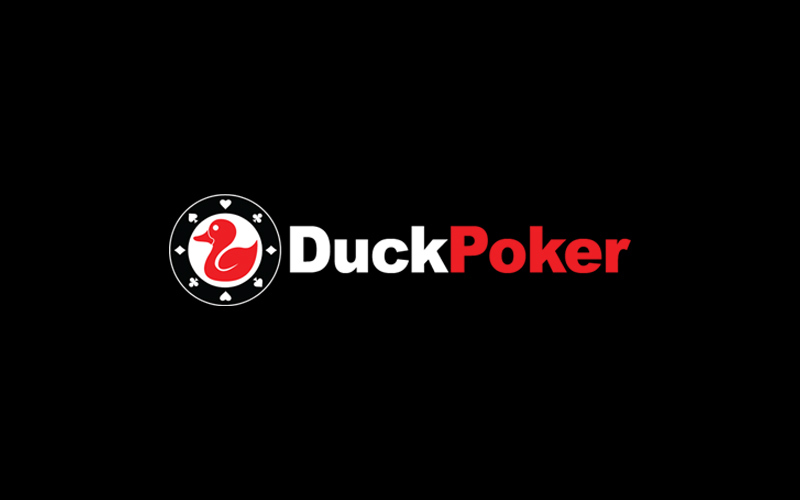 If you’re looking to play now, you can visit DuckPoker.com now and start earning your $600 deposit bonus! Looking to get started? Signup at Duck Poker through Bonus Ace by using the link above. New players can receive the 100% up to $600 opening bonus offered, described in this review.